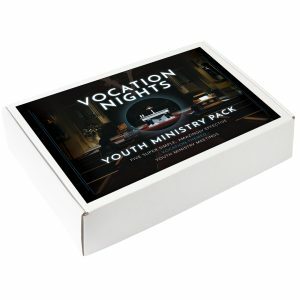 Five simple and effective vocation-themed youth ministry meetings. 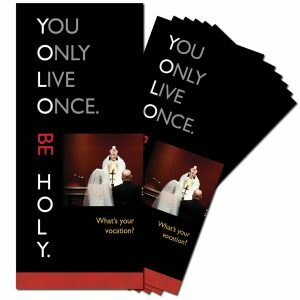 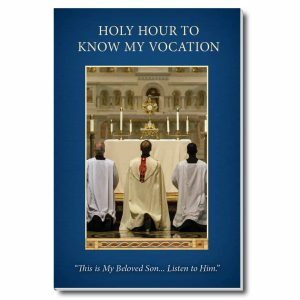 This visually appealing guide offers direct instructions for running vocation-themed youth ministry meetings. 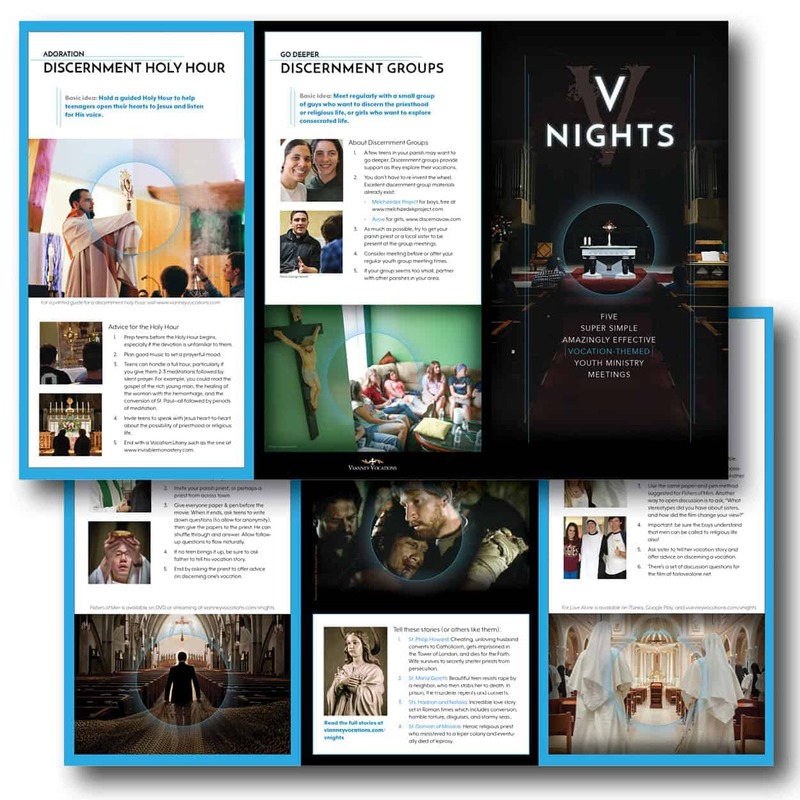 The content cuts to the chase and gives busy youth ministers solid meeting plans to teach teens about vocations to marriage, priesthood, and religious life, at the same time respecting their abilities to adapt meetings to their group dynamic. 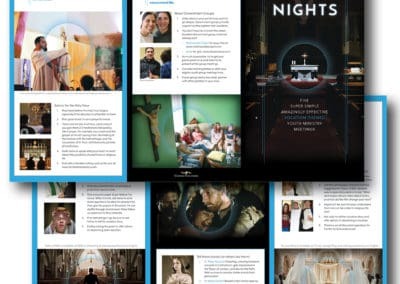 The meetings include film nights, saint story night, a discernment holy hour, plus recommendations for longer-term mentoring in discernment groups. Supported by a web page with more info. 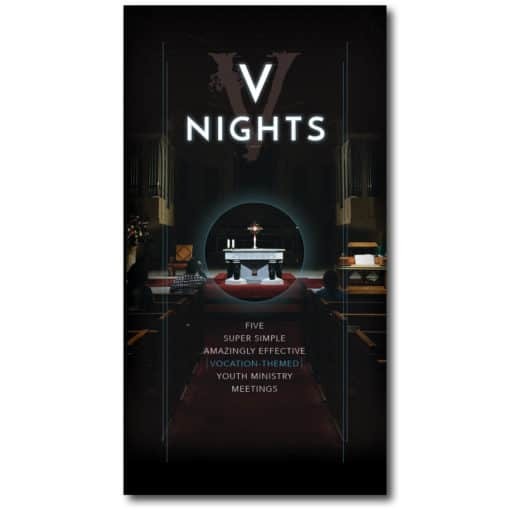 This guide is included in the new “V Nights Pack” youth ministry packet, which contains videos, handouts, and more.